These books have been currated and recommended by the Grassland Heritage Foundation. 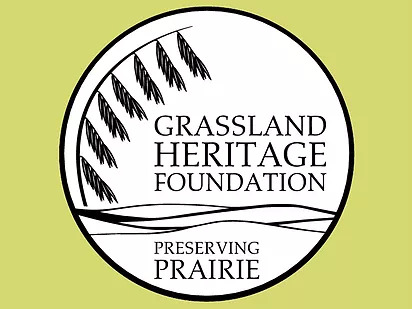 This non-profit 501(c)(3) land trust organization dedicated to preserving prairies in eastern Kansas through education, stewardship, and land protection. You can find these books and guides in our store or available to purchase through our website. In addition, The Raven Book Store's poetry gumball machine is stocked with great gardening and native plant information. All proceeds will be donated to the GHF. With the recent decline of the European honey bee, it is more important than ever to encourage the activity of other native pollinators to keep your flowers beautiful and your grains and produce plentiful. Many gardeners today want a home landscape that nourishes and fosters wildlife. But they also want beauty, a space for the kids to play, privacy, and maybe even a vegetable patch. Sure, it’s a tall order, but The Living Landscape shows how to do it. By combining the insights of two outstanding authors, it offers a model that anyone can follow. Native Plants of the Midwest, by regional plant expert Alan Branhagan, features the best native plants in the heartland and offers clear and concise guidance on how to use them in the garden. “If you cut down the goldenrod, the wild black cherry, the milkweed and other natives, you eliminate the larvae, and starve the birds. How do you know when you're face to face with a fringe-leaf ruellia? Is that particular flower button gayfeather or dotted gayfeather? And what about the pod clinging to your pants-could it have come from a pointed-leaf tick-trefoil? Once covered by wild grasses, America's heartland is by nature a grassland, populated with plants whose ecological importance, practical value, and subtle beauty we are only now beginning to comprehend. In this eloquent plea for compassion and respect for all species, journalist and gardener Nancy Lawson describes why and how to welcome wildlife to our backyards. Through engaging anecdotes and inspired advice, profiles of home gardeners throughout the country, and interviews with scientists and horticulturalists, Lawson applies the broader lessons of ecology to our own outdoor spaces.